Did you know that when you search the Historical Records collection on FamilySearch.org that you’re searching only a fraction of the website’s digitized records? That’s because many record image collections on the site are unindexed, and thus not included in search results. So, how do you access these records? You need to browse through the records online, sort of like browsing through microfilmed records. To find a record collection to browse, go to the published list of all Historical Records collections on FamilySearch.org. You’ll see that the unindexed collections don’t have a record count in the Records column; instead, it has a link to Browse Images. Use the filters on the left to narrow the options by location and/or record type, depending on what you’re looking for. After you click a Browse Images link, you’ll be on a landing page for a particular collection. It will give you a brief description of what’s included in the collection. You can then click on another “browse” link to get to the actual images. In most cases, FamilySearch.org organizes the records by location, record type, date range, and/or alphabetically by name. This can help you focus your browsing on sections of the collection that are most likely to include your ancestor. 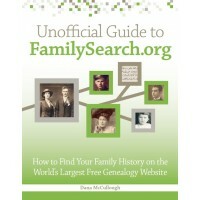 For more tips and strategies for browsing unindexed records on FamilySearch.org, see the Unofficial Guide to FamilySearch.org.